This article outlines how community pharmacists can play an important role in medicines adherence, including examples of how to reinforce treatment. Without adding any uncontrolled self-medication. Optimal implementation and persistence of therapy will help patients attain better clinical outcomes and improve their quality of life. Non-adherence can be intentional (i.e. the patient does not start the therapy because they do not accept the diagnosis or they change the dosage, etc.) or non-intentional (i.e. the patient forgets to take the medicine as prescribed or the dosing regimen is too complicated for the patient’s abilities),. Patients may be intentionally and non-intentionally non-adherent at the same time for different medicines. Reasons for non-adherence are manifold and involve both patients and healthcare professionals. For the patient, factors such as no longer experiencing symptoms, lack of health education or a lack of confidence in the treatment play a major role, along with drug-related problems and possibly high therapy costs. Furthermore, concomitant depression of many patients with chronic diseases might be an underlying, and therefore untreated, issue. For example, the incidence of depression is twice as high in patients with cardiac disease compared with the general population (9.3% vs. 4.8%) and non-adherence is higher in patients with depression than in patients without depression (40% vs. 16%). For healthcare professionals, lack of time and remuneration might leads to poor communication with patients. Non-adherence is more likely to occur during transition of care or situations involving change, such as weekends and holidays or during acute illness, and results in waste of medication, illness aggravation, hospitalisation and decreased quality of life. Subsequently, the annual costs of non-adherence are high. In this respect, the pharmacist must tailor interventions to the individual patient in addition to their standardised, structured consultation. Patient-related factors (e.g. disbelief in the diagnosis, forgetfulness and low motivation). The Theoretical Domains Framework identified 14 domains of theoretical constructs that can be used to simplify the behavioural problems associated with adherence. Within these domains, Allemann et al. differentiated modifiable determinants (e.g. knowledge and behaviour) from unmodifiable determinants (e.g. age, financial situation and level of education). According to their results, adherence interventions should address the modifiable patient determinants and be tailored to the unmodifiable ones. For example, patients who are failing to adhere to their medicine because of social influences (e.g. disrupted family structure) may benefit from family intervention or group programmes. Many interventions conducted by pharmacists have been developed, and new services have been implemented, such as medication reviews, medication management and enhanced patient counselling. Although pharmacist interventions have been structured to fit into daily practice, medication adherence remains an unsolved issue, even within clinical trials. Community pharmacists are the last healthcare professionals that patients will see before using their medicine and, therefore, this may have an impact on their perception of the therapy. Pharmacists can influence patient expectations depending on whether they are confident that the treatment is effective and are able to communicate enthusiasm (see Box 1). Since community pharmacists see patients face to face, they often get an undistorted picture of the patient’s condition, including dexterity, vision and cognition. Confidentiality — proper use of sensitive information. Even though pharmacy consultations might be of short duration, building trust is a prerequisite of every successful discussion with a patient. In general, pharmacists only have a few minutes per consultation; however, this can be enough for a targeted intervention since merely having more time does not guarantee a good consultation. To be efficient, healthcare professionals must use every minute of the encounter in a motivating, patient-centred way. Each consultation must be well prepared and motivational aspects need to be taken into account. Saying the right things is not sufficient — they must be said in the right manner, so the patient feels motivated. Sustaining the effort, as no intervention is self-sustainable. The majority of patients (79%) prefer having an active role in decision making, and joint goal setting is one of the major determinants of a successful intervention. Once the patient is actively involved in taking responsibility for their own treatment, the healthcare professional may find that the patient needs social support. When treatment resistance has been observed, but no obvious cause has been identified, it is important to assess medicine adherence before the therapy is changed to avoid therapy escalation. Pharmacists and healthcare professionals can use a variety of different methods to assess adherence. For example, direct adherence measures, such as laboratory tests or swallowing a medication that is attached to an ingestible chip, can prove whether the medicine was taken. These are reliable but not the most practical options. Indirect measures, such as questionnaires, are cheap and easy to use, while electronic monitoring is the most objective measure (and should be used in preference to questionnaires). Adherence measures should not be used to control patients, but rather to unveil errors; therefore, the pharmacist should develop a participative behaviour rather than an authoritarian one. Non-adherence is a complex issue and there is no ‘one-size-fits-all’ solution. The pharmacist needs to understand the patient’s knowledge, motivation and beliefs before starting an intervention,. A short, three-step intervention — with modifications for those starting a new treatment — is outlined in Box 2. It starts with trust-building measures where the pharmacist introduces themselves, followed by an assessment of the medication history. Practical difficulties, misunderstandings or problems can be solved at all stages. For new medicine users, knowledge-based aspects dominate the consultation, while motivation is the main issue for persisting on the regimen. Each consultation ends with agreement on a joint goal until the next visit (see Box 3). The habit of taking medicine on a regular basis can be sustained by the use of adherence aids, such as pill reminder charts, which can be used to assess intake patterns and provide feedback on the patient’s adherence pattern. These can help identify non-adherence and enable pharmacists to intervene and educate patients on the importance of taking their medicines as instructed. To avoid difficulties and errors, compliance aids should be delivered with any complex therapy (e.g. colour photographs of each oral medicine, with pictorial aids to indicate the medicine’s purpose and time of administration). In case of intentional non-adherence, motivational interviewing becomes more relevant. With a patient-centred attitude and targeted communication, the pharmacist can help patients to appropriately manage their condition. However, pharmacists and healthcare professionals should keep in mind that changes during a patient’s life will likely affect their medicine management, even if they have taken the drugs for a long time. Therefore, each encounter with patients should be used as a short intervention and to review adherence problems. Box 2: Example dialogue of a knowledge-based short intervention with a new drug user (Scenario 1) and a motivation-based short intervention for the same patient already on a treatment (Scenario 2). In both scenarios the patient has a problematic attitude towards their anticoagulant medicine. The pharmacist reads through the discharge letter and looks at the prescription. The pharmacist gets the drug pack and hands it over to the patient. Box 3: Example dialogue of a knowledge-based short intervention with a new drug user (Scenario 1) and a motivation-based short intervention for the same patient already on a treatment (Scenario 2). In both scenarios the patient has a problematic attitude towards their anticoagulant medicine. The pharmacist looks at the prescription. The pharmacist opens the patient’s account. The 78th FIP World Congress will be hosted by the SalvaDore in Glasgow from 2–6 September 2018. This is the first time for nearly 40 years that the FIP World Congress has been held in the UK. Registration is now open and more information on the event can be found . Anna Laven will be chairing a session at the congress on 4 September titled ‘Strategies to improve adherence — technology needs communication’. Graham I, Stewart M & Hertog M, on behalf of the Cardiovascular Round Table Task force. Factors impeding the implementation of cardiovascular prevention guidelines: findings from a survey conducted by the European Society of Cardiology. Eur J Cardiovasc Prevent Rehabil 2006;13:839–845. Arnet I & Haefeli W. Gründe für fehlende Arzneimittelwirkung. In: Grundlagen der Arzneimitteltherapie. Basel. 2001. German. Clifford S, Barber N &Horne R. Understanding different beliefs held by adherers, unintentional nonadherers, and intentional nonadherers: application of the Necessity-Concerns Framework. J Psychosom Res 2008;64(1):41–46. Festinger L & Carlsmith J. Cognitive consequences of forced compliance. J Abnorm Psychol 1959;58(2):203–210. Piepoli MF, Hoes AW, Agewall S et al. 2016 European Guidelines on cardiovascular disease prevention in clinical practice: The Sixth Joint Task Force of the European Society of Cardiology and Other Societies on Cardiovascular Disease Prevention in Clinical Practice (constituted by representatives of 10 societies and by invited experts) Developed with the special contribution of the European Association for Cardiovascular Prevention & Rehabilitation (EACPR). Eur Heart J 2016;37(29):2315–2381. Egede LE. Major depression in individuals with chronic medical disorders: prevalence, correlates and association with health resource utilization, lost productivity and functional disability. Gen Hosp Psychiatry 2007;29:409–416. Gehi A, Haas D, Pipkin S & Whooley MA. Depression and medication adherence in outpatients with coronary heart disease: findings from the Heart and Soul Study. Arch Intern Med 2005;165(21):2508–2513. Obarcanin E, Krueger M, Mueller P et al. Pharmaceutical care of adolescents with diabetes mellitus type 1: the DIADEMA study, a randomized controlled trial. Int J Clin Pharm 2015;37(5):790–798. Elliott RA, Barber N & Horne R. Cost-effectiveness of adherence-enhancing interventions: a quality assessment of the evidence. Ann Pharmacother 2005;39(3):508–515. 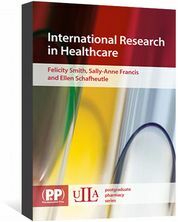 Clifford S, Garfield S, Eliasson L & Barber N. Medication adherence and community pharmacy: a review of education, policy and research in England. Pharmacy Pract 2010;8(2):77–88. Cutler RL, Fernandez-Llimos F, Frommer M et al. Economic impact of medication non-adherence by disease groups: a systematic review. BMJ Open 2018;8(1):e016982. Allemann S, Nieuwlaat R, van den Bemt B et al. Matching adherence interventions to patient determinants using the Theoretical Domains Framework. Front Pharmacol 2016;7:429. Cane J, O’Connor D & Michie S. Validation of the theoretical domains framework for use in behaviour change and implementation research. Implement Sci 2012;7:37. Tan E, Stewart K, Elliott M & George J. Pharmacist services provided in general practice clinics: a systematic review and meta-analysis. Res Social Adm Pharm 2014;10(4):608–622. Patwardhan P, Amin M & Chewning B. Intervention research to enhance community pharmacists’ cognitive services: a systematic review. Res Social Adm Pharm 2014;10(3):475–493. Greer N, Bolduc J, Geurkink E et al. Pharmacist-led chronic disease management: a systematic review of effectiveness and harms compared to usual care. 2015. VA Evidence-based Synthesis Program Reports. Blaschke T, Osterberg L, Vrijens B & Urquhart J. Adherence to medications: insights arising from studies on the unreliable link between prescribed and actual drug dosing histories. Annu Rev Pharmacol Toxicol 2012;52(1):275–301. Crow R, Gage H, Hampson S et al. The role of expectancies in the placebo effect and their use in the delivery of health care: a systematic review. Health Technology Assessment 1999;3(3):1–96. Graham J, Shahani L, Grimes R et al. The influence of trust in physicians and trust in the healthcare system on linkage, retention, and adherence to HIV care. AIDS Patient Care STDs 2015;29(12):661–667. Hall M, Zheng B, Dugan E et al. Measuring patients’ trust in their primary care providers. Med Care Res Rev 2002;59(3):293–318. Parkinson N. Parkinson’s law. The Riverside Press 1957: Cambridge, Massachusetts. Library of Congress Card Number: 57–9981. Deters MA, Laven A, Castejon AM et al. Effective interventions for diabetes patients by community pharmacists: a meta-analysis of pharmaceutical care components. Annals Pharmacother 2018;52(2):198–211. DiMatteo M. Variations in patients’ adherence to medical recommendations: a quantitative review of 50 years of research. Med Care 2004;42(3):200–209. Arnet I, Walter PN & Hersberger KE. Polymedication electronic monitoring system (POEMS) — a new technology for measuring adherence. Front Pharmacol 2013;4:26. Horne R, Chapman S, Parham R et al. Understanding patients’ adherence-related beliefs about medicines prescribed for long-term conditions: a meta-analytic review of the Necessity-Concerns framework. PLoS ONE 2013;8(12):e80633. Haynes RB, Ackloo E, Sahota N et al. Interventions for enhancing medication adherence. Cochrane Database Syst Rev 2008;16(2):CD000011. Weinman J, Petrie K, Moss-Morris R & Horne R. The illness perception questionnaire: a new method for assessing the cognitive representation of illness. Psychol Healt 1996;11(3):431–445. Horne R & Weinman J. Patients’ beliefs about prescribed medicines and their role in adherence to treatment in chronic physical illness. J Psychosom Res 1999;47(6):555–567. Laven A, Deters MA, Rose O et al. PharmAdhere: training german community pharmacists with objective structured clinical examinations. Int J Clin Pharm. In press. Mahtani KR, Heneghan CJ, Glasziou PP & Perera R. Reminder packaging for improving adherence to self-administered long-term medications. Cochrane Database Syst Rev 2011;(9):CD005025.